Lance Armstrong trolling everyone with his jerseys. Yesterday, I was enjoying a perfect Cleveland day. I stopped in Tremont for a tasty breakfast, took a tour of our city's treasure, Terminal Tower, and then stopped off at The Harp for an adult beverage on the patio looking out over the lake. The only way the day could have been more Cleveland is if I had a pierogi dinner while watching the Browns. I was as content as I could be. Well, until I saw one of those familiar yellow rubber bands on the arm of a young man. Years ago, those dollar bands were going for five bucks on eBay. 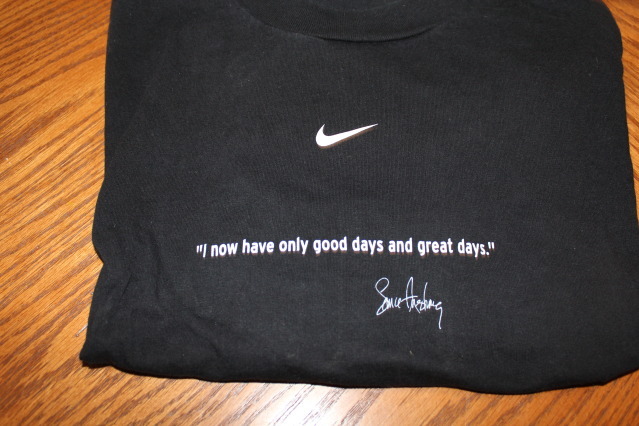 Nike and Armstrong hit a gold mine...and a nerve. I don't know of anyone that doesn't want cancer eradicated. I'll bet even Lefoolio hates cancer. Livestrong bands are no longer a fashion statement. These bright yellow bands are worn by those with cancer, fighting cancer or people supporting their loved ones. The young man not only had a wristband, but he had the bright yellow case for his phone. That is when I started to get angry. I have this shirt. I now only have good days and great days. Armstrong and his Foundation with the help of Nike has done amazing work. As long as Armstrong kept fighting, the money kept flowing in. 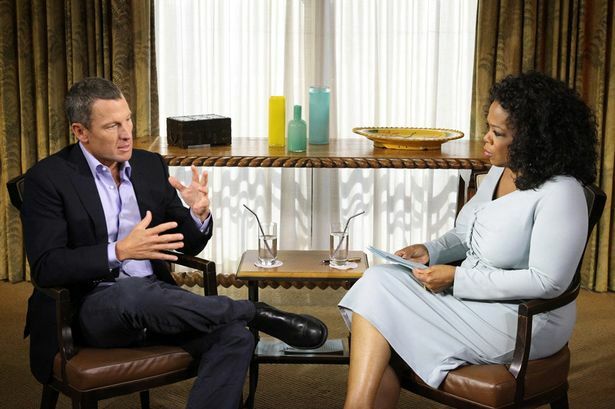 And then he had to talk to Oprah. I am not sure how it is possible, but after explaining his case to Oprah, how he was a cheater and liar, he came off even more unlikeable. His plan of throwing himself on the mercy of public opinion backfired. Armstrong tried to convince everyone he was a changed man and he had to tell the world because of what the lies were doing to him and his soul. I truly wish he would have died with the lies. Yes, I know, he ruined lives. That is not lost on me. He could have easily with his power and wealth set the karmic scales back in balance. It would have taken work, but he could have privately atoned for his sins on others. The problem is, once he admitted his wrongs, people had to back away. 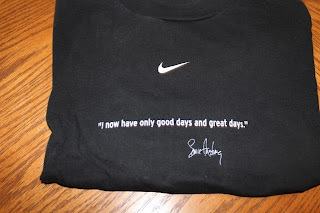 Nike stopped supporting the foundation. His yellow gear went from the front of the store to the sale racks. After the 2013 holiday season, it will be gone. Armstrong's relationship with Nike brought in over $500 million. That is HALF A BILLION dollars. It may sound harsh, but if he spent the last of his days struggling with the last remnants of his soul being consumed by his lies, that is fine by me. He gave (and I'm sure still does) millions of people fighting cancer hope. His offering of hope was accompanied with a shower of corporate cash. That was all taken away because he felt bad. He wanted to feel better about himself so he said, "sorry" and moved on. I hope he feels better in his mansion, knowing that he has taken away so much from people.